i9 Sports Coupon 2019 – i9 Sports promo codes and coupon info. i9 Sports and Oakland County Moms are offering OCM readers a $15 discount on all i9 Youth Sports programs for 2019 youth sports registrations. i9 Sports is a youth sports program with a strong emphasis on equal play, sportsmanship and fun for girls and boys ages 3 – 13. 1. Equal Play – All kids get equal playing time and all kids are treated equally and with respect. 2. Focus on fun – Yes,we keep score, however, the focus on the league is fun for the kids without overly intense competition. No tryouts or drafts and kids can play with their friends. 3. Awards – All kids in our leagues receive medals and/or trophies and all kids will likely win one of the weekly sportsmanship medals. 4. Sportsmanship – We teach Sportsmanship Values (such as respect, honesty, courtesy,…etc) in our programs and re-enforce these values through our Weekly Sportsmanship Medals which are awarded to a member of each team, each week for best exemplifying that week’s value. 5. 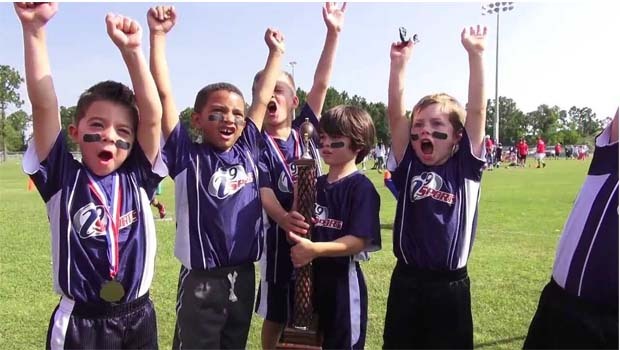 Certified Coaches – Yes, our coaches are volunteers, however, all coaches have passed a criminal background check and have been certified by attending an i9 Sports coaching clinic prior to the start of the season. In the clinic we train the coaches to coach by positive coaching techniques and to coach by the values of our league. 6. Certified Officials – Our officials are NOT volunteers. They are trained by the i9Sports staff to understand the unique rules of each sport, as well as the i9Sports philosophy. 7. Professional Staff on site – At any i9 Sports event you will find our trained staff of professionals who insure the organization of the event, answer questions, insures the safety of the participants, and who insures that all participants, coaches, and parents are staying within the values of i9 Sports. 9. Organization – We take care of all of the details and provide great communication to you. 10. Convenience – Practices are kept to a maximum of one time per week and are only on game days. Convenient locations in the Oakland County area (Rochester, Auburn Hills and Royal Oak/Madison Heights). Outstanding communication so you do not have to worry about the details. You can use i9 Sports coupon and promo codes at www.i9sports.com.